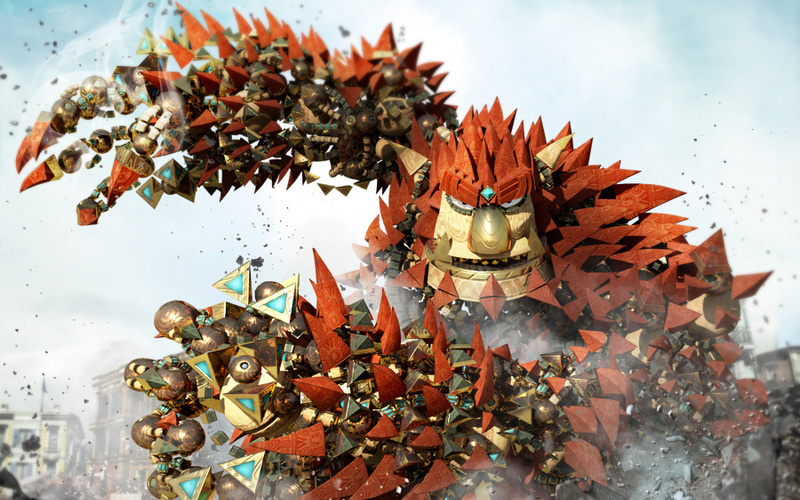 Video: Will PS4 Launch Title Knack Grow on Gamers Like Uncharted? Ever since the PlayStation 4’s launch last month, we’ve been spending a lot of time with Japan Studio’s throwback platformer Knack. Over on Family Gamer TV, we recently asked two brothers to review the title, and take a deeper look at the co-op aspects of the game. To our surprise, we found that this mode turned out to be a perfect match for their (6 and 8-year-old) abilities. We were particularly impressed by the option to use the PlayStation Vita as a second controller. But more than the functionality and visuals of the game, it was the story-telling that really made the boys sit up and take notice. The title tackles weighty subjects not typically seen in similar platform action experiences designed for young audiences – even the LEGO releases rarely stray into this more emotional territory, preferring instead the safety of slapstick tomfoolery. While many have criticised the title for not being the experience that they expected – either too hard or not long enough – this feels like a bit of a misunderstanding of what the team at Japan Studio has achieved. In fact, the reception reminds this author a little of the tepid response to Uncharted: Drake’s Fortune shortly after the PlayStation 3’s release. It took gamers a while to realise that they had something special on their hands, and there was plenty of criticism of protagonist Nathan Drake’s monkey-like climbing compared to Assassin’s Creed. Of course, Naughty Dog’s adventuring brand is now a critical darling, so it’ll be interesting to see how Knack fares over time. We reckon that there’s a good chance that this will one day be recognised as a standout family favourite. I wouldn't be surprised if this did achieve a kind of cult status, which may help future iterations of the game. I do feel that many reviewers look at games from their own standpoint and not necessarily from that of the target audience. I think to get an opinion from a child regarding a child's game is a great idea. 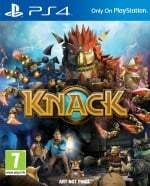 I haven't played Knack but was considering it as a launch purchase. The poor reviews scared me off though and I bought need for speed rivals instead. Reviews are great as a guide, but people generally react in their own way and one person could love something that someone else hates. I may be tempted to try this at a later date when the price has come down. I liked Contrast, I thought it was a charming little game and the critics pretty well slated it. @Sanquine Yeah, Family Gamer TV does great stuff. It's interesting to see this games from a completely different perspective, as we don't often consider what youngsters think. I keep going back and forth on this game. I love the old school PS platformers like Spyro and Crash but then I hear the downsides of this game and it detours me from getting it. I think I just might end up renting this one from GameFly before I purchase it myself. Unless of course this is offered for free for PSN+ members. "In fact, the reception reminds this author a little of the tepid response to Uncharted: Drake’s Fortune shortly after the PlayStation 3’s release. It took gamers a while to realise that they had something special on their hands". I disagree. The reason why gamers weren't interested in Uncharted was because of the poor reception for the PS3. NOT Uncharted. Gamers became very cautious over buying games on PS3 because the console had no multi plats to speak of and it was surrounded by bad PR. As for the "reception", Uncharted: Drake's Fortune got excellent reviews. It's just that Assassin's Creed had just come out and was bigger and more expansive as a game. Those kids are cute, when i see them, I see me when I was still unspoiled by false marketing, wrong expectations and just sat down and had fun. Which is THE one and only reason to play videogames. Seeing those 2 cute boys just having some unspoiled, innocent and unaltered fun for the heck of it makes me feel old and bitter. I'll try to be a bit more my younger self again! The combat is far too difficult and that bogs down the fun and enjoyment also far too repetitive.If they'd mixed the gameplay up much more it could of been on a par with Crash and Daxter but as it is it's no where near and just turns into a hard slog.On the positive side you could tell it was on PS4 from the textures and lighting which are stunning but much more on a good quality television rather than a cheap one.